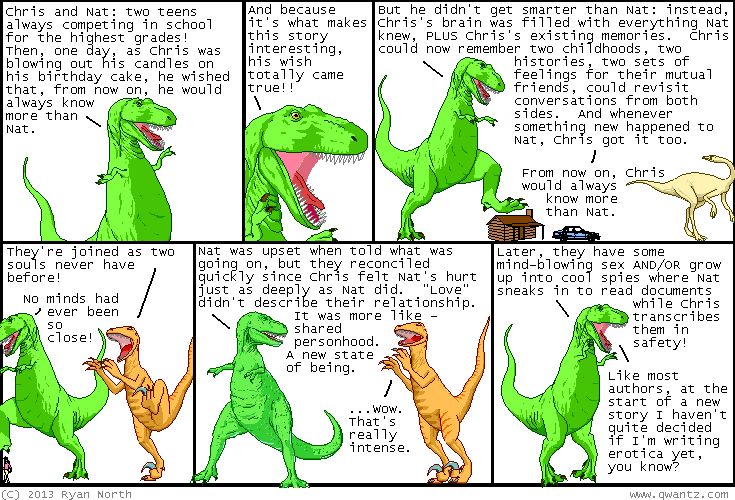 Dinosaur Comics - November 6th, 2013 - awesome fun times! –YES. Yes it probably would!